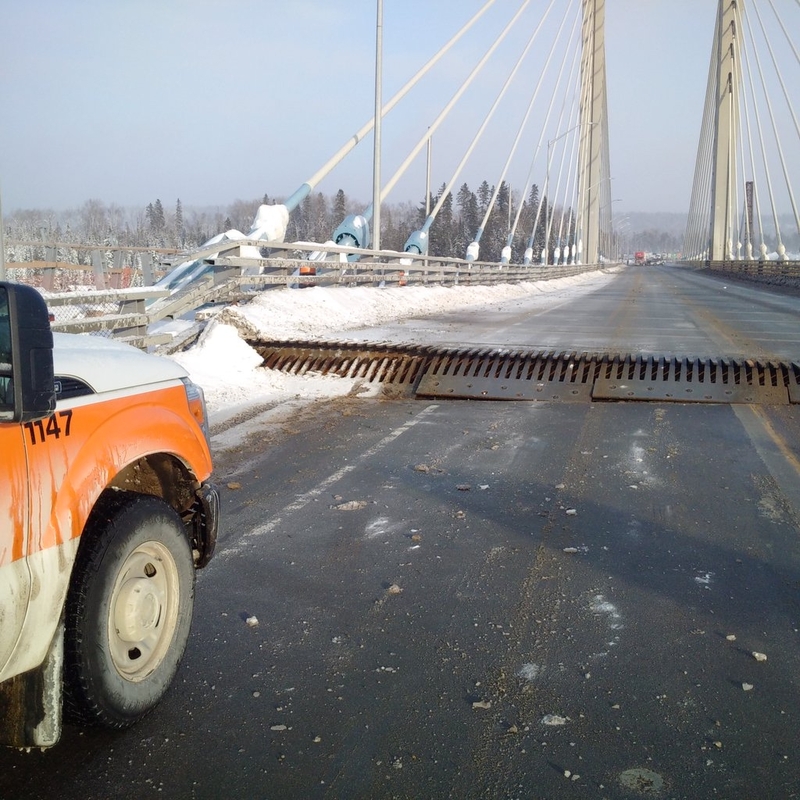 The newly-constructed Nipigon River Bridge has failed, splitting in the cold and cutting the only land transportation link between Eastern and Western Canada, thenewswatch.com reports. The split caused the eastern half of the bridge to rise about two feet. Engineers were on site Sunday evening, braving -28 C temperatures to analyze the extent of the damage. The first half of the new Nipigon River Bridge, Ontario’s first cable-stayed bridge was opened on November 29th, 2015 after 3 years of construction. The completed bridge will feature three towers with cables supporting the bridge deck and a separate sidewalk for pedestrians. 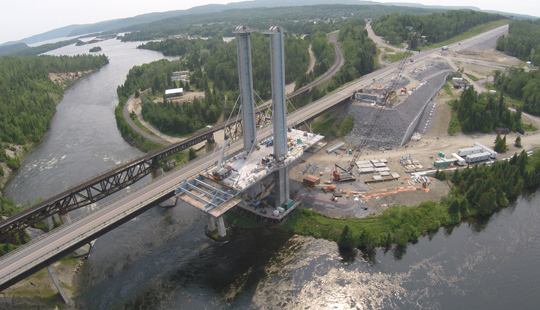 MMM Group Limited designed a four-lane, two-span, composite-cable-stayed bridge for the Highway 11/17 Nipigon River bridge on the Trans-Canada Highway. The design features a two-span composite cable-stayed bridge built in two stages to maintain traffic flow. (On October 15, 2015, MMM Group Limited was acquired by WSP Global Inc.). 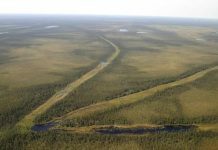 Bot Ferrovial Nipigon Joint Venture was awarded the $106-million contract (joint venture of Ontario’s Bot Construction and Spain-based Ferrovial Agroman), and expects the project to be completed in 2017. Fabricator and erector of the cables is VSL International. In 2013, Hatch Mott MacDonald was retained by MTO to provide Construction Contract Administration for the duration of the construction. The eastbound lanes of the old bridge have been closed for demolition as construction is set to begin on the bridge’s mirror half. 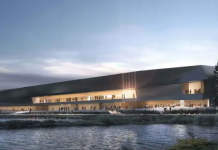 The first question Minister of Northern Development and Mines Michael Gravelle is asking is, what progress has been made on that demolition and whether reverting traffic to the existing bridge is a possibility. Gravelle is in communication with Minister of Transportation Steven Del Duca and while he conceded the story is developing as quickly as he can get information, he said both ministries recognize the matter as urgent. “Clearly, this is an emergency situation,” he said. Gravelle intends to inspect the bridge personally on Monday morning. Engineers began escorting pedestrians across the bridge around 6:30 p.m. Highway 17 traffic was turned back to Terrace Bay and commercial vehicles are being encouraged to travel west through the United States at the border crossing in Sault Ste. Marie. Arrangements are being made to ensure ambulance and fire vehicles can cross the sunken expansion joint on metal sheeting, should emergencies arise. In the meantime, Superior-North Emergency Medical Services has coordinated a regional approach to land ambulance coverage with regional hospitals. 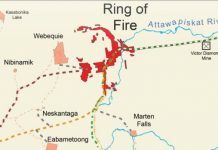 Nipigon Mayor Richard Harvey said no one foresaw anything like this happening. The $106-million construction slated for completion in 2017 was designed to avoid this exact situation. “My first thought was, Canada is cut in half,” he said upon seeing the state of the bridge. Harvey said Nipigon has taken every precaution, including opening its community centre and Legion for at least the next 24 hours. “We’re being told it will probably be a couple of days before traffic gets moving so we want to be sure those who are traveling are safe, so no one is stuck out in the cold,” he said. Nearby Greenstone Deputy Mayor Eric Pietsch declared a State of Emergency at 6:10 p.m. and the municipality’s staff is taking measures to ensure travelers are safe.